Flint Construction was formed in July 1994 by Andrew Newman, John Privett and Nigel Hicks. John and Nigel have since retired from construction and the company is now run by Andrew as Managing Director. The company is keen to promote training and have suitably qualified staff at all levels. Details of the key staff are listed below. 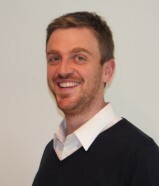 Andrew Newman trained with a regional contractor, specialising in contracts management and estimating. 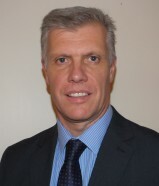 In May 1989 he attained Corporate Member status of The Chartered Institute of Building and has since been made a Fellow (FCIOB), which has allowed the company to join the Chartered Building Company Scheme. He now has over 30 years of experience in various types of construction. Sam is also a contracts manager. He spent two years as a carpenter before entering management. He is a English graduate and has a MSc in Conservation of the Historic Environment. He has completed a three year Graduate Diploma in Construction Management and is a member of The Chartered Institute of Building (MCIOB). 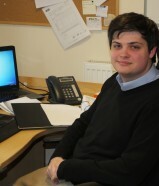 Sam has experience in new & refurbishment domestic projects and commercial projects. Ross Brudenell undertook a bricklaying apprenticeship with the company, including “Trowel Award” for bricklaying apprentice of the year. He then went on to attain HNC in Construction Management and has now completed a BSc in Construction Management at Southampton Solent University. He is currently working towards full membership of the CIOB. He has various experience of new build and refurbishment of domestic projects. Jonathan has completed his HNC, followed by a BSc in Construction Management Construction Management at Southampton Solent University. He is currently working towards full membership of the CIOB. He has experience of new refurbishment of domestic projects. 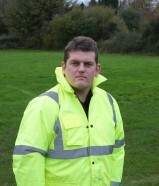 Patrick is our project QS carrying out both pre and post tender measurement and financial control. 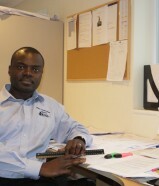 He has a BSc in Quantity Surveying. The contracts managers have a team of 9 site managers and around 30 carpenters, plumbers, bricklayers, decorators, ground workers and labourers, all directly employed and controlled. They also have access to a tried and tested group of labour only subcontractors who assist us on a regular basis. We subcontract some trades, namely electrical works, plastering and roofing, using the same tried and tested contractors on each project.